These historic Cuffs have SOLD.. 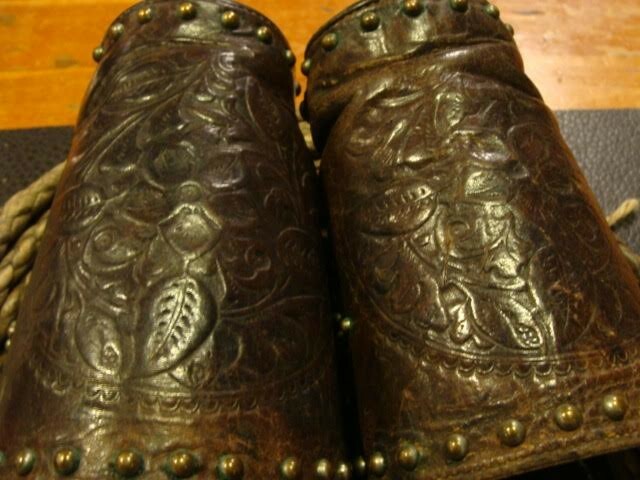 Here is a pair of Cowboy Leather Cuffs worn by a member of the Buffalo Bill Wild West Show in the 19th Century. 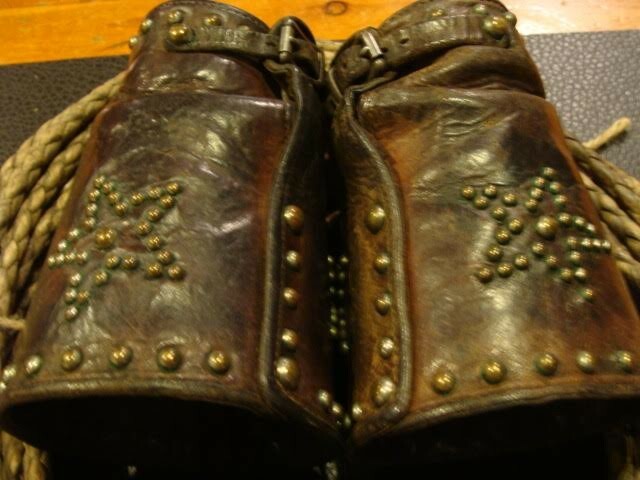 They show the shine of the patina from the sweat and the studs in the Star. Such cuffs were used by working cowboys driving cattle to protect their wrist steer horns and from brush that might cut ones wrist. 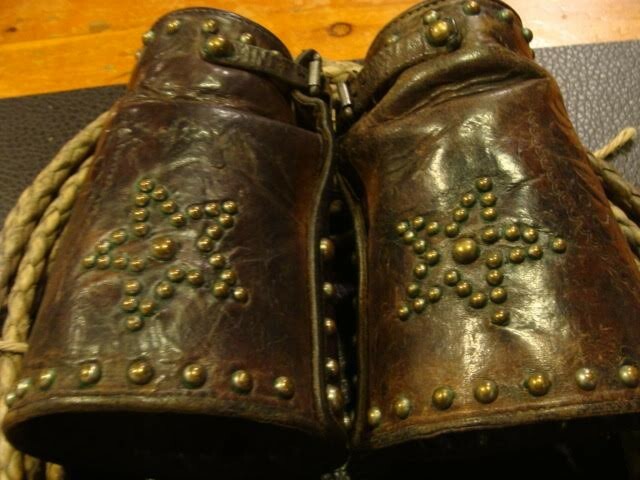 Gloves and Cuffs were part of the normal protective gear in the old west period. As towns grew up and attracted “fancy dressed dudes and gun fighters many would deck themselves out with pearl handled grips on their six shooters, tall boots, jingle bobs hanging off the rowels of their spurs and a huge scarp (red), a sash, pin striped pants and a white shirt, holster etc... These historic Cuffs have SOLD.. Please email cowboycabin@centurytel.net with questions or call 406 270-2842.